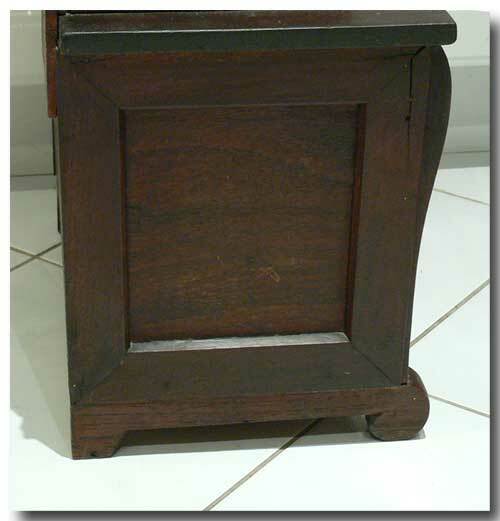 An exceptional South-Western Ontario doll’s dresser in the Empire style. Solid walnut with panelled drawer fronts, original ceramic pulls and original finish. 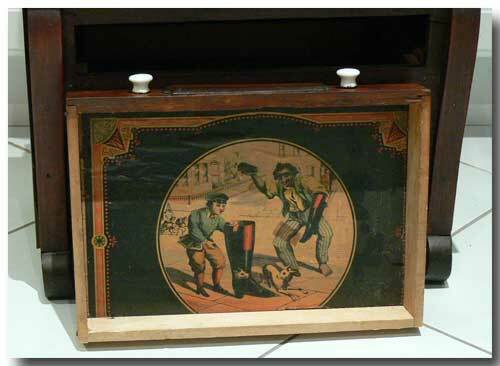 The upper drawer has a paper image glued inside of a shoe shine scene. 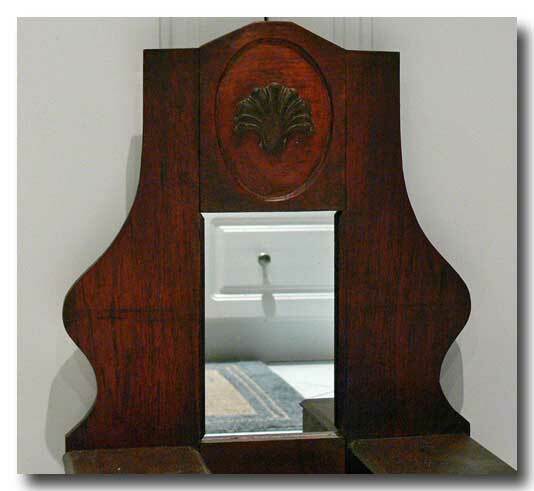 Rabetted drawer fronts, square nails and applied decorative cartouche at upper centre. 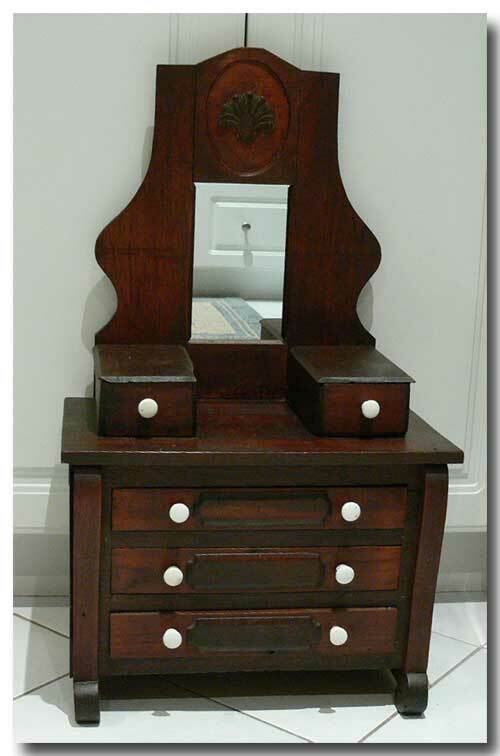 The dresser is entirely original except for the mirror. Approx. size in inches 27 high x 16 wide x 9 deep. Ca. 1870.